VBPM Connection, Issue #012 -- News from your doctor's office. 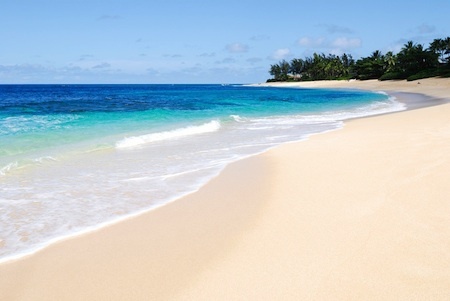 VBPM Connection is a newsletter published by Virginia Beach Premier Medical, an internal medicine concierge practice dedicated to personalized, highly attentive, high quality care for our patients. The newsletter provides information of a general nature about our office, current health news and various common illnesses and ailments. None of the information provided is meant to be specific for any particular individual. Always seek the advice of your personal physician for any specific information about your health. Chronic fatigue is a very common and very non-specific symptom affecting about 20% of the population. It is usually caused by one or more physical or mental ailments. However, in 1-2% of people the fatigue is incapacitating and medically unexplainable. When this type of fatigue lasts for more than 6 months and is also accompanied by additional symptoms like sore throat, tender lymph nodes, muscle or joint- aching, headache, poor sleep, and worsening of symptoms after exercise, it can be diagnosed as chronic fatigue syndrome. There is no specific test that can be used to diagnose this problem. It is a clinical diagnosis of exclusion, which means that you have to be sure there is no other underlying cause for the fatigue, and then, if the symptoms meet the criteria listed above, the diagnosis can be made. No one knows what causes the chronic fatigue syndrome. Some have said that it might be associated with the Epstein-Barr virus, (the one that causes infectious mono) but this hasn’t been proven even after careful study. Testing for this is optional and often not very helpful. Treatment of chronic fatigue, which is frequently associated with fibromyalgia, is difficult and has to be individualized. A slowly progressive, graded exercise program can be helpful, but if it’s overdone, the symptoms could get worse for a few days. A significant number of patients can be helped using the serotonin-increasing effects of certain antidepressants. Occasionally, other medications may be helpful. It is important to understand that the illness is not life threatening. Sometimes it will resolve on its own after a few years. Your physician is your best resource for diagnosing and treating this disorder. The evaluation of another common symptom - dizziness – is also not easy in many cases. There are many different kinds of dizziness. Vertigo is a spinning or balance problem – like seasickness. This usually indicates an inner ear disorder like a viral infection, but could be an early sign of a brain disorder. Lightheadedness when sitting up or standing quickly is usually a blood pressure or circulatory problem. Disequilibrium is a feeling of unsteadiness when walking, which can be caused by medications, poor vision, neuropathy, and deconditioning. If you have any of these symptoms, make sure you discuss them with your doctor. Multiple other causes of dizziness can further cloud the evaluation but with careful consideration of symptoms and a few tests, the cause can often be determined. Low blood sugar caused by eating carbohydrates in some individuals can be a cause of dizziness. Thyroid disease and other metabolic and hormonal disorders should be considered. Low blood count or anemia can certainly be a factor and may indicate internal bleeding, iron or vitamin deficiency. Anxiety disorders and hyperventilation syndrome are frequent causes of dizziness. Traumatic brain injuries, migraines, certain types of strokes and tumors may be considered as well. The history and exam performed by your doctor can often determine the diagnosis easily. If not, then further testing may be required particularly if the problem does not resolve in a reasonable time frame. An aneurysm is a weakening in the wall of an artery to the point that the artery begins to widen because of the pressure inside the artery pushing outward on its wall, much like a weakening in the wall of a tire that begins to bulge outward. When this happens in the abdominal aorta, the main artery carrying blood to the kidneys and legs, then we have what we call an abdominal aortic aneurysm (AAA). This occurs in about 5% of elderly males who smoke. Having an immediate relative who has had an aneurysm increases the risk. They are less likely to occur in women. If an AAA ruptures, the mortality rate is about 80%. The likelihood that an aneurysm will rupture depends on its size. If it is less than 5 cm across, there is less than 5% risk of rupture per year. For every 1 cm of increase in size, the risk increases by 10%. The diagnosis can often be suspected by exam and then confirmed by an imaging study. Gastro-esophageal Reflux Disease (GERD) is an inflammatory disorder of the esophagus (swallowing tube) caused by reflux of stomach acid into the lower esophagus. It can cause symptoms of heartburn, indigestion, chest pain or pressure, hoarseness, sour taste in the mouth, excessive coughing, nausea, vomiting and/or upper abdominal pain. If the inflammation goes on long enough, it can cause a stricture such that food can get stuck on the way to the stomach. It could also cause a precancerous condition called Barrett’s esophagus. Often, the use of certain medicines like H2 blockers and proton pump inhibitors can help to resolve the symptoms. Elevating the head of the bed at night and avoiding eating for 2 hours before bedtime can also help. If symptoms persist, consultation with a gastroenterologist may be required. At the top of this list is always tobacco and this remains the leading cause of preventable death. Smoking not only causes lung cancer but also causes cancer of the throat, larynx, mouth, urinary system, GI tract, and pancreas. Even second-hand smoke causes about 5000 cancer deaths in the US every year. Alcohol can increase risk of cancers in the respiratory tract and in the esophagus, especially in those who smoke also. Also, liver cancer can be caused by alcoholic cirrhosis. Sun damage markedly increases the risk for cancer of the skin. Intense, intermittent sun exposure in children and adolescents increases risk for melanoma later. Radiation exposure, especially high doses over short periods – xray exposure, radiation therapy for previous cancers, nuclear reactor leakage, etc. - can increase risk of cancer. Other factors include asbestos and certain viral infections like HPV. Lupus, short for Systemic Lupus Erythematosis, or SLE, is an autoimmune disorder caused by the body making antibodies that fight against its own cells. Young women are the ones most commonly affected. The cause is unknown. Symptoms include skin rashes and joint pain. The typical rash is the one that involves the cheeks on both sides of the face in a butterfly pattern. Lupus patients can also develop kidney disease, neurologic abnormalities, heart and lung problems, blood and bone marrow disorders, as these various organ systems are affected by this autoimmune process. The diagnosis requires a constellation of signs and symptoms coupled with certain blood tests and/or biopsy tests. There are blood tests available that help to screen for the condition, but these are not diagnostic by themselves. The treatment usually involves steroids and other immune-altering medicines along the way. Prognosis is quite variable. Sciatica usually refers to pain caused by irritated or pinched nerves coming from the lower lumbosacral spine. The discomfort typically seems to originate in the sciatic notch – a depressed area in the posterolateral buttock - and radiates down the posterior and lateral aspect of the leg. It can be a mild nagging, aching sensation, or it can be severe and incapacitating. Depending on the severity of the condition, treatment may involve the use of anti-inflammatory medicine like NSAIDs, rest, stretching exercises and local heat. Steroids taken orally may be tried next. Ultimately, if symptoms are severe, imaging studies followed by cortisone shots or even surgery may be required. 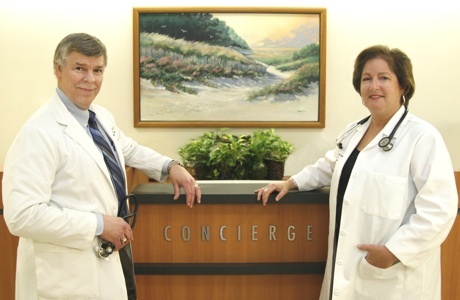 Virginia Beach Premier Medical is a membership “concierge” internal medicine practice specializing in comprehensive and compassionate, individualized and personalized patient-centered care. We pride ourselves on full continuity of care – in the office, in the hospital, or even at home. If you would like more information about our practice please call us at 757-416-6750 or visit our website at www.vbpm1.com. Ask to speak with Brittany, our office manager, or Dr. Parks or Dr. Warth. We’d be happy to talk with you anytime. Here’s an incentive! If you are a member of our practice and if you refer someone to us who then signs up, we will give you $200 off your next year’s fee. Here’s another plus! You can accumulate these referral discounts so that if you refer multiple people who then sign up, you will get $200 off the next year’s fee for each one. Copyright, 2009-2012. All rights reserved.